Display your Limitless potential that supports Girls on the Run vision of a world where every girl is empowered to activate her limitless potential and boldly pursue her dreams. Features 100% polyester moisture wicking knit and mesh racerback to keep you dry whether on a run or at practice. The model is 5’4” and is wearing a size medium. The base shirt is Augusta and is an easy fit. My new favorite workout tank! 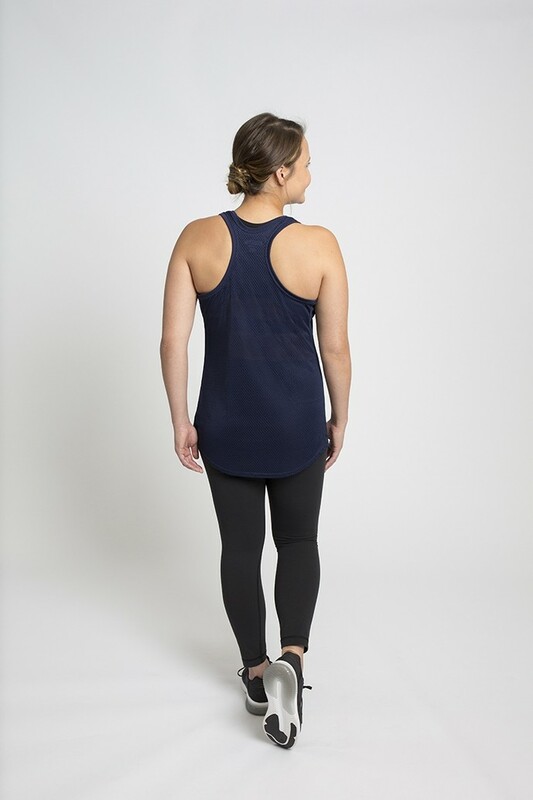 It's super comfortable and breathable tank top. Wish I had bought it sooner. It's great for a workout class plus running errands afterwards. Love it!